Matters of sustainability and the environment were given extra air time this year at the 2016 Olympic Games in Rio de Janeiro, Brazil to mixed results, while travel giant TripAdvisor took a stance by halting all offers surrounding animal tourism. Coffee lovers had less to rejoice over as the true cost of producing and drinking coffee came under scrutiny. I have great respect for Charles Chong & would like to tell you why, even though Charles himself would not have wanted this story told. But it bears telling, not because we are of the same political party, but because in essence the story is about courage and acting on what one believes in, despite uncertainties. Recently, Charles went through a major operation to receive a new liver. The prospect of a liver transplant would have caused any one of us to at least reduce our activities, review our life’s goals but certainly not take on major challenges. 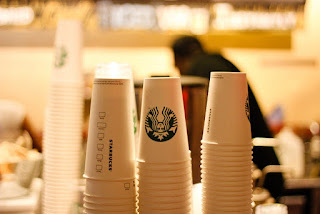 Not for Charles Chong. He had known for some years now that he might need a new liver in the future, based on his doctors’ advice. While he could still be active, he would need close monitoring and reviews. 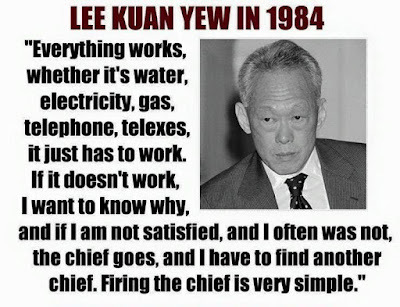 But when Charles was asked to stand in Punggol East by PM Lee Hsien Loong before the last GE in 2015, Charles’ response was almost instantaneous – Yes, I‘m ready to fight. Charles knew that any candidate there must expect a hectic campaign and a tough fight. The rest they say is history. Charles fought hard and won back the constituency. How he could do this, with the shadow of a liver transplant over him, I cannot pretend to understand fully except that Charles has guts and the courage to act on his convictions. I would like to thank everyone who sent their well-wishes and enquired about my condition - my family & I are very touched by the concern and words of encouragement I have received since I had my surgery. I provided the media with an update on (and some background to) my condition earlier today, and links to some of the media reports can be found at the end of this post. I am very grateful for the support provided by DPM Teo Chee Hean and other Pasir Ris-Punggol MPs, as well as the Punggol East Grassroots Leaders and PAP Branch Activists who have been taking care of Punggol East residents' needs in my absence. I'm looking forward to seeing all of you again soon! Defence Minister Ng Eng Hen on Wednesday (Dec 21) lauded Member of Parliament (MP) Charles Chong for "courage to act on his convictions”, despite being diagnosed with a liver condition about 3 years ago. 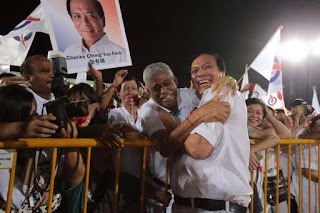 Dr Ng revealed in a Facebook post that when Mr Chong was asked to stand for the People's Action Party in the opposition-held Punggol East Single Member Constituency in the 2015 General Election, “Charles’ response was almost instantaneous – ‘Yes, I‘m ready to fight’,” he said. A day after Punggol East MP and Deputy Speaker of Parliament Charles Chong disclosed that he was recovering from a liver transplant, Defence Minister Ng Eng Hen revealed that Mr Chong had stood in the 2015 General Elections despite knowing he could need a new liver. He also shared that Mr Chong had said he was ready to stand in Aljunied GRC if asked. 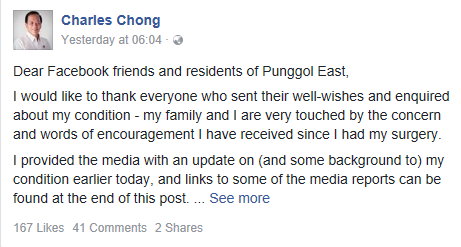 Dr Ng lauded the 63-yr-old for his "story of courage" in a Facebook post on Wed (Dec 21), saying he had "great respect" for Mr Chong. 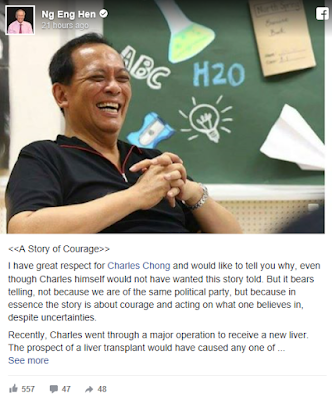 People’s Action Party (PAP) Member of Parliament Charles Chong, 63, received part of his son’s liver in a transplant earlier this month, he told the media in response to queries on Tue (Dec 20). On Dec 1, the PAP had announced that Mr Chong, who is the MP for Punggol East, had undergone a planned medical procedure & would be on eight weeks’ medical leave, but provided no further details. Mr Chong said there was no immediate need for him to have a liver transplant as his liver was still functioning well, about 3 years after he was first diagnosed with a condition called non-alcoholic steatohepatitis during a routine medical check-up. But his doctors found “a couple of small lesions” on his liver and had advised that he should consider a transplant now while he was still in good health. Sickly but Lucky Charlie’s Punggol-East Challenge a Sign of PAP? 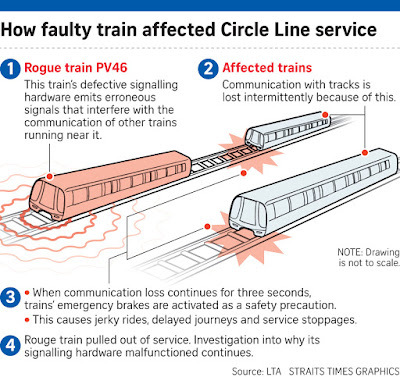 The mysterious signal interference which interrupted service on the Circle Line MRT in recent months is a mystery no more. 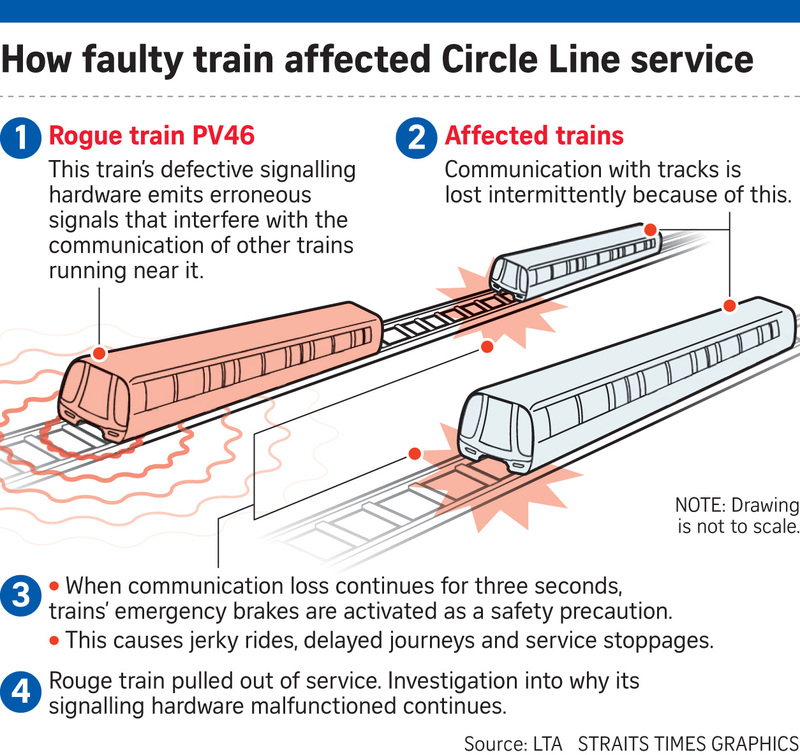 According to the Land Transport Authority (LTA) & train operator SMRT, investigations showed that signalling problems on the Circle Line were caused by an intermittent failure of the signalling hardware on one train. 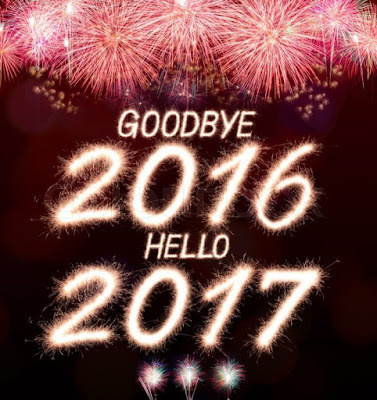 Between Nov 2 & 6, the hardware failure on the train - No. 46 - had caused trains in the proximity of it to lose signalling communications. 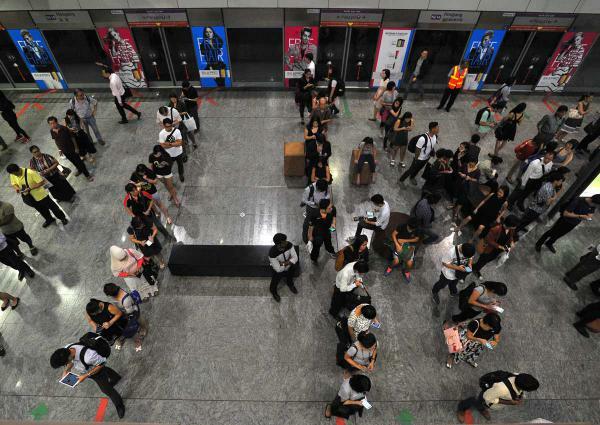 A track fault caused delays for up to an hour on the East-West Line during morning rush hour on Wed (Jan 4). The East-bound stretch from Boon Lay to Clementi stations was affected, train operator SMRT first said in a tweet at 7:47am. It warned commuters to expect an additional 10 minutes travelling time, which it later revised to 15 minutes. The East-West Line suffered three faults in less than 24 hrs, with the most recent one on Fri morning (Dec 23). The 1st one happened on Thursday night. 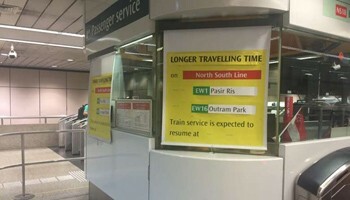 SMRT, posted on Twitter at about 7.30pm, an alert on the track fault, telling commuters to expect an additional 15 minutes of travel time from Outram Park station to Eunos station towards Pasir Ris station. By 8.24pm, the fault had been cleared, according to a post on SMRT’s Twitter page. The 2nd fault happened at about 5.33am on Friday, and halted services between Outram Park station and Aljunied station. 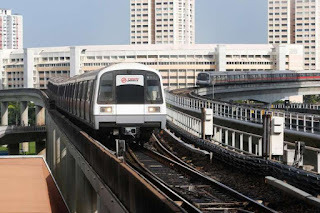 Singapore Mass rapid Transit (SMRT) has announced this early morning (23 December) that there was no train service between Outram Park and Aljunied on its East-West Line (EWL) due to a traction power fault near Bugis. These delays meant that there were three delays along EWL in less than 24 hours. 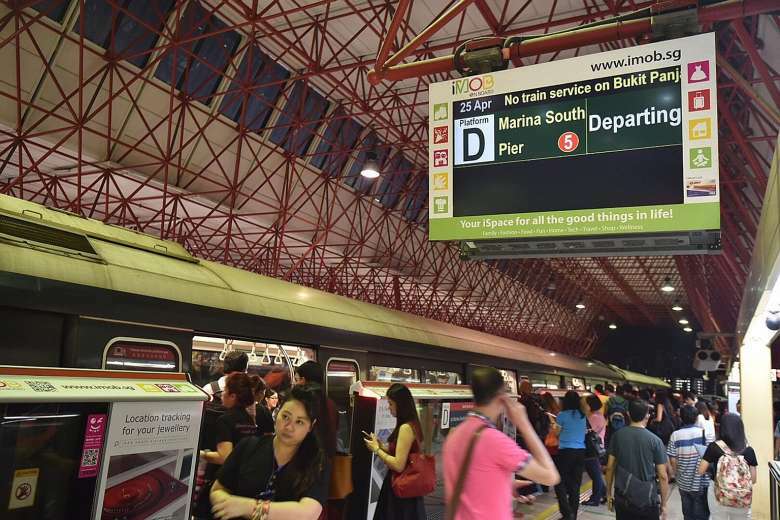 The first one occurred last night from Outram Park station to Eunos station towards Pasir Ris due to track fault and passengers were asked to add 15 minutes of additional travelling time. Many of the commuters went to social media to express their disappointment. Many of them said that it was not only ten minutes delay as they got stuck at least 20 minutes. Some even said it was more than 40 minutes delay. A mysterious signal fault on the Circle Line has returned to frustrate commuters, with travel times delayed by at least half an hour during the morning rush hour on Wed (Nov 2). The CCL last saw a signal fault on Aug 29, when commuters were hit 5 days in a row with delays that SMRT attributed to the signaling fault. SMRT has been trying — unsuccessfully so far — to identify the source of the problem, including shutting off mobile phone signals on Sep 2. 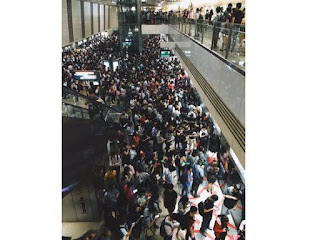 Train services on the Circle Line slowed to a crawl during the rush-hour commute yesterday, as another signalling fault — the 3rd in 4 days — hit the MRT network. 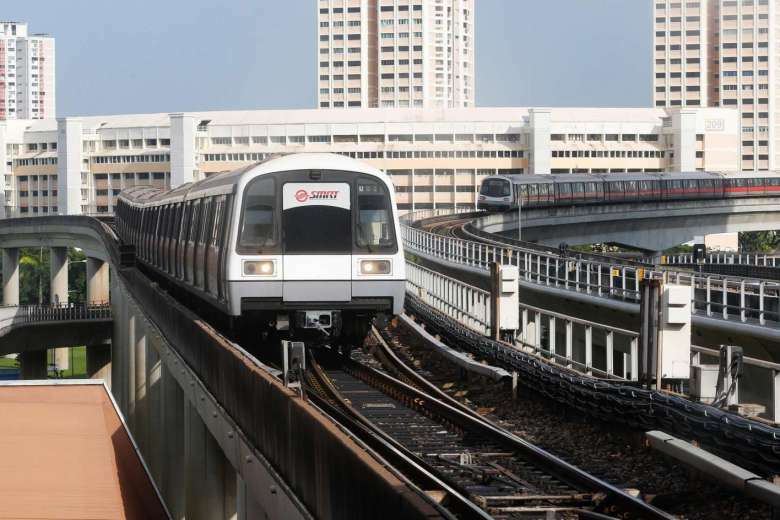 Operator SMRT said train services on the line were affected between 6am to 9am yesterday, after a defective signal connector was found between Mountbatten & Stadium MRT stations. This added about 20 minutes of travelling time for commuters, as trains ran at slower speeds and SMRT engineers tried to rectify the fault. 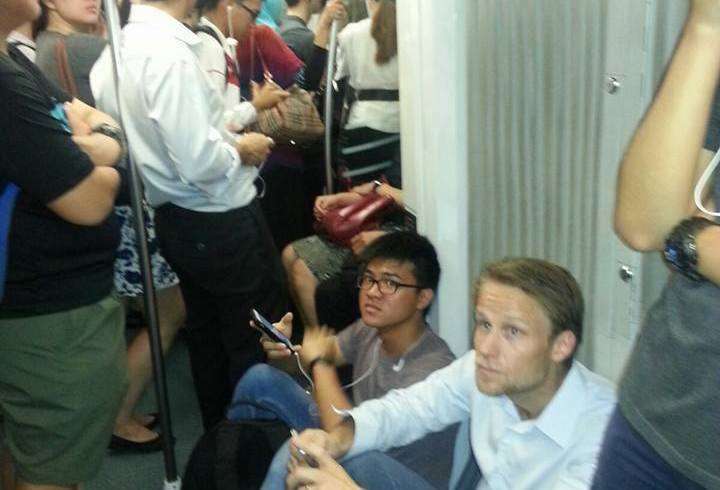 SMRT spokesperson Alina Boey said additional trains were deployed to cope with the crowd build-up along the line. On Monday, a track circuit failure between Yew Tee and Kranji stations caused trains to slow down, resulting in commuters being late for work and school. The affected commuters included some Republic Polytechnic and Nanyang Polytechnic students who were late for their examinations. A signal fault on SMRT's Circle Line on Thursday morning caused another service disruption -- the 3rd this week alone. SMRT tweeted at 7:36am that a signal fault would cause an additional delay of 20 minutes travelling time from Paya Lebar to Dhoby Ghaut. At 8:53am, it tweeted that train services between the two stations were operating normally again. On Wed, an SMRT spokesman said that the upgrading programme to update the signalling system across the entire SMRT network would take up to two years, and warned commuters that delays would continue in the meantime. She said it would eventually "address many of the signalling-related incidents we are facing today". 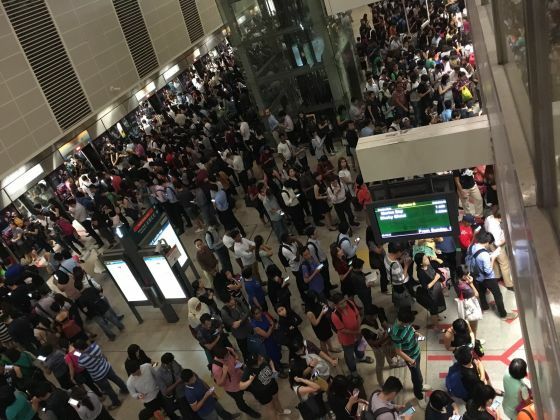 On Tuesday, another track fault struck the North-South Line, causing passengers to suffer delays a day after thousands of commuters saw their travel disrupted in the morning rush hour on Monday. The latest disruption lasted about half an hour and affected south bound services between Ang Mo Kio and Marina Bay stations. Commuters were left frustrated after a signal fault caused significant delays on the Circle Line (CCL) on Wed (Nov 2) morning. The fault, described by operator SMRT as an "intermittent" one, culminated in the disruption of train service between Botanic Gardens & Marymount MRT stations in both directions at around 9.10am. The disruption later extended beyond Marymount to Serangoon station. Free regular bus services were also made available at all stations along the line. The signalling interference that caused train service disruptions on the Circle Line (CCL) on Wednesday (Nov 2) morning could be similar to the week-long series of mysterious delays that plagued the same MRT line in September. A joint statement by the Land Transport Authority (LTA) and CCL operator SMRT on Wednesday afternoon said preliminary investigations indicate the possibility of an interfering signal that could have disrupted communications. Should similiar signalling faults occur, LTA and SMRT said they have arranged with the Infocomm Media Development Authority (IMDA) and mobile network operators to suspend telecommunication signals along stretches of CCL for short periods of time to assist in investigations. It's been a troublesome past few weeks for Circle Line operators SMRT, and even more vexing for the commuters who've been affected by service delays. Longer waiting times and slower trains have hit the underground MRT line four times in the last 3 weeks, and most of them occurring in the rush hours. 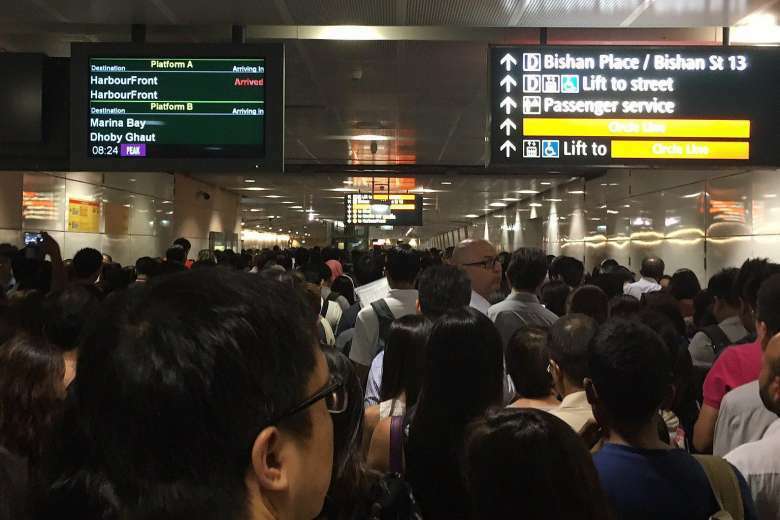 The worst of it took place yesterday morning, when delays stretched up to 4 hours as disruptions affected the line from Serangoon to Botanic Gardens MRT stations. One commuter even claimed that a lady fainted when everyone got stuck in the train, with no ventilation and non-functioning air-conditioning. Investigations conducted by the Land Transport Authority (LTA) and SMRT determined that an interfering signal could have disrupted the communications, thus leading to signalling faults that've caused the delays. They've yet to establish the source of the interfering signals for now. About 35,000 commuters on their way to work just after 8:00am yesterday were hit by a major breakdown on the North East Line (NEL). It was the 4th incident that lasted more than 30 minutes this year on the 12-year-old line. Operator SBS Transit said a signalling glitch at 7:08am affected service between Sengkang and Punggol stations. It was fixed at about 7:20am. A power fault triggered an unprecedented breakdown of train services along 3 MRT lines and one LRT line last night, disrupting the journeys of thousands of commuters near the end of the evening peak. The trip, which occurred at 7:53pm, also led to blackouts and a loss of air-conditioning at all affected stations. They were without power except for emergency lighting. Train services were unavailable for between 30 minutes and 2 hours, and free bus shuttle services were deployed. Rail operator SMRT was unable to fix a signalling fault that affected service on the Circle Line for the whole of yesterday. The glitch, which the operator described as "intermittent signalling issues", slowed train speeds and reduced service frequency during the morning peak period. Commuters took to social media to complain of packed stations. Other users tweeted that faulty sensors were causing train doors to shut on commuters. Train services on the East-West line were delayed on Wednesday (Dec 14) during the morning peak due to a signalling fault at Aljunied MRT Station. 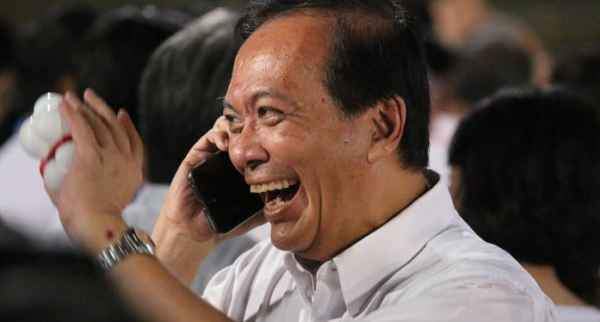 SMRT in a tweet at 8.39am advised commuters to "add 20min travel time between Pasir Ris and Outram Park". It added that "train services are still available", but advised commuters to refer to bus guides on its site for more details. Commuters reacted angrily online, with some saying they had been stuck for longer than 20 minutes; others reacted in disbelief at the frequency of breakdowns. A signal interference problem that disrupted train services for 5 days in August and September returned on Wednesday (Nov 2) during the morning rush hour, leaving six Circle Line (CCL) stations, including major interchanges like Bishan and Serangoon, without train service. The interference caused loss of signal between trains & stations, forcing the trains to come to a stop. The Land Transport Authority (LTA) and SMRT on Wed said that preliminary investigations indicate that the nature of the faults in the latest incident could be similar. Railway signalling is a system used to direct railway traffic and keep trains clear of each other at all times. Trains move on fixed rails, making them uniquely susceptible to collision. This susceptibility is exacerbated by the enormous weight and inertia of a train, which make it difficult to quickly stop when encountering an obstacle. In the UK, the Regulation of Railways Act 1889 introduced a series of requirements on matters such as the implementation of interlocked block signalling and other safety measures as a direct result of the Armagh rail disaster in that year. Most forms of train control involve movement authority being passed from those responsible for each section of a rail network (e.g., a signalman or stationmaster) to the train crew. The set of rules and the physical equipment used to accomplish this determine what is known as the method of working (UK), method of operation (US) or safeworking (Aus.). Not all these methods require the use of physical signals, and some systems are specific to single track railways. The earliest rail cars were first hauled by horses or mules. A mounted flagman on a horse preceded some early trains. Hand and arm signals were used to direct the “train drivers”. Foggy and poor-visibility conditions gave rise to flags and lanterns. Wayside signalling dates back as far as 1832, and used elevated flags or balls that could be seen from afar. 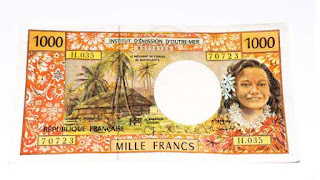 We have become so accustomed to cash exchanges in our daily grind that we no longer pay our dollar bills a second look. The next time you fish out the green five-dollar bill from your wallet, do spare a few seconds to examine it. 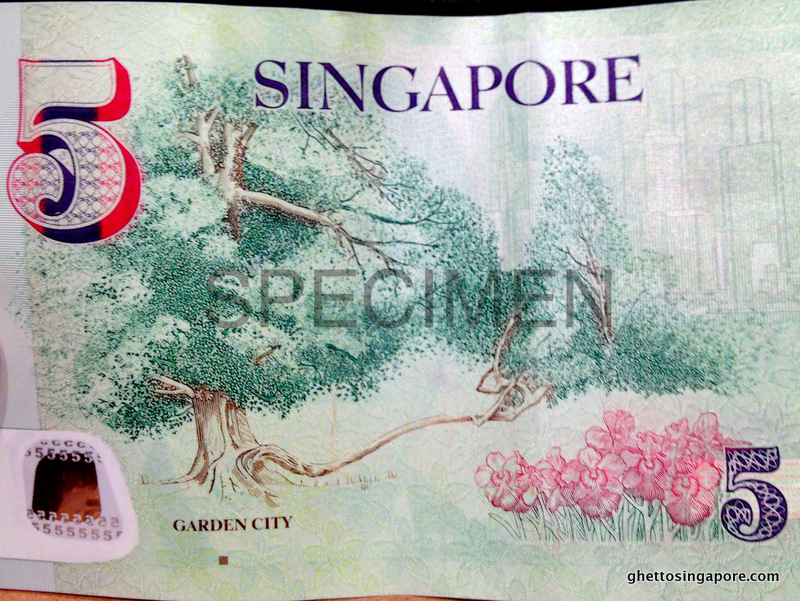 While the front design features the first President of Singapore Encik Yusof bin Ishak as do all bills from the Portrait series, the back design theme is Garden City with a Tembusu tree of a long outstretched low-lying branch. This is our 5-Dollar Tembusu tree. It is not just a default artist’s illustration. 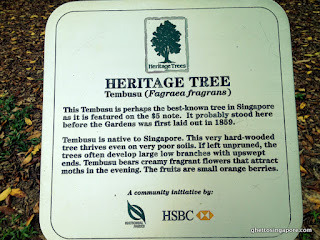 As a matter of fact it is a feature of Singapore’s most famous Tembusu tree. Located near the Tanglin entrance of the Botanic Gardens, it is believed to have existed long before the gardens was officially laid out in 1859. That puts the tree at close to two centuries old! 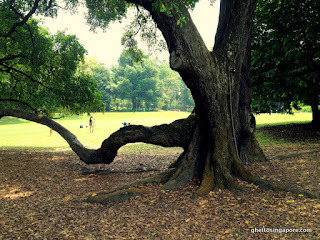 With its low lying branch to sit on and boundless green backdrop, this old Tembusu has long been a popular site for family portraits and outdoor wedding photo shoots. The tree has been inducted into the Heritage Trees of Singapore, which was launched in 2001 to identify and safeguard mature trees that serve as important green landmarks in our natural heritage. The "Tembusu Heritage Tree" is not an ordinary Tembusu tree. 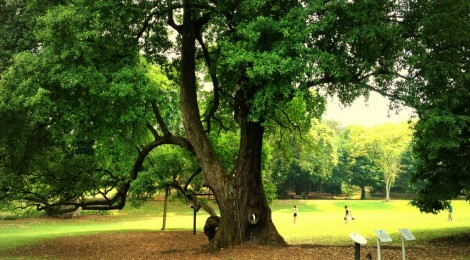 It is our Singapore heritage tree at Botanic Gardens! 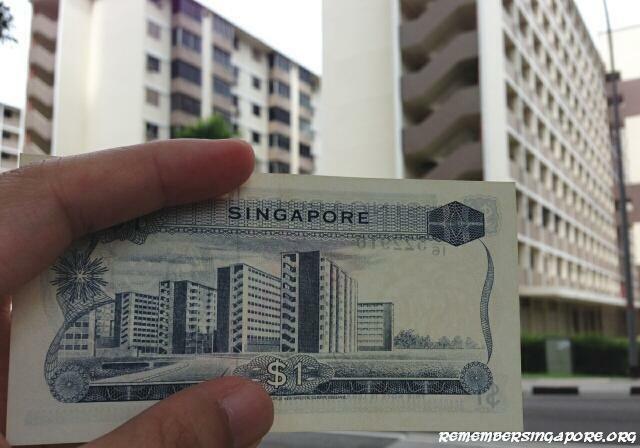 A Tembusu graces Singapore currency as well. Coming back to the Tembusu trees, you are probably carrying a picture of a famous Tembusu in your pocket. 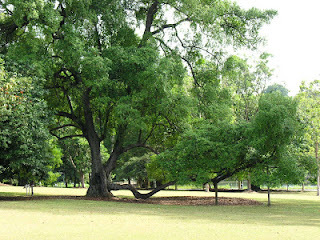 This tree in the Botanic Gardens is featured on the back of the $5 note. 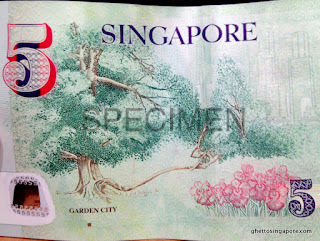 The front of this $5 note has a picture of President Yusof bin Ishak. 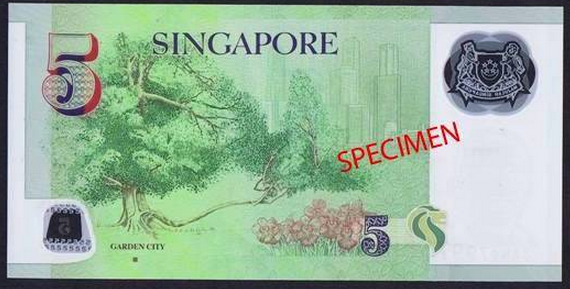 The tree on the $5 note is not some legendary tree as you might think, and since it’s already SG50 this year, the tree is probably somewhere rotting or non-existing anymore today. You are wrong. The tree, known as the Tembusu tree, is still standing tall in the Botanic Gardens and have been featured previously in 2002 in one of the 4 heritage-tree stamps that was issued. Take a $50 bill and look at the back of it. Do you see a pair of gibbons swinging through vines? Most Singaporeans will have missed the painting by the late Chen Wen Hsi, one of Singapore's pioneer artists. Iconic landmarks in Singapore have been commonly used as the back designs of the former and current Singapore currency notes. 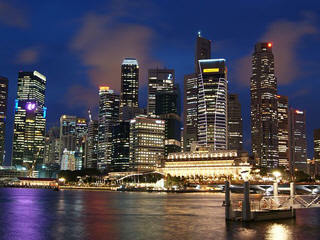 Examples are the Supreme Court Building, Clifford Pier, Victoria Theatre, The Istana, Benjamin Sheares Bridges and Changi Airport, which have all been used as motifs in the previous Orchid, Bird and Ship series. 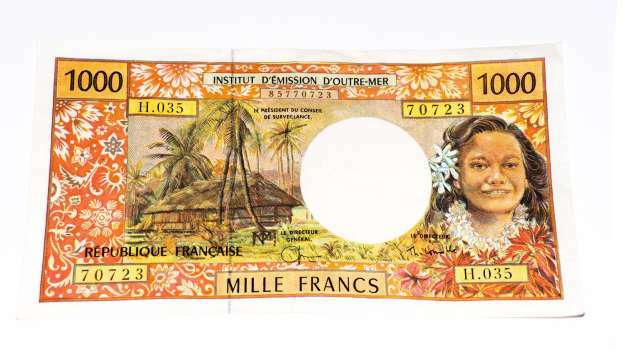 The dollar notes’ motif designs sometimes also tell a Singapore’s history. For instance, the back of the Orchid Series’ 1-dollar note, released in mid-1967, features the Tanglin Halt flats, which were built in 1962. 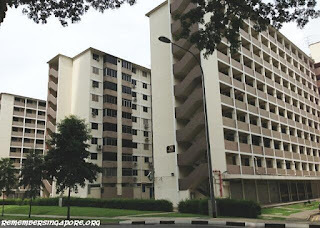 Fondly known as chup lau chu (“10-storey building” in Hokkien), these early HDB flats had existed for more than 50 years but eventually could not stand the test of time. Most of its tenants had moved out since 2008, and the vacant blocks will be demolished by end of 2015.